Senior Alexis Roach returns the ball against Maumelle Charter on October 11. 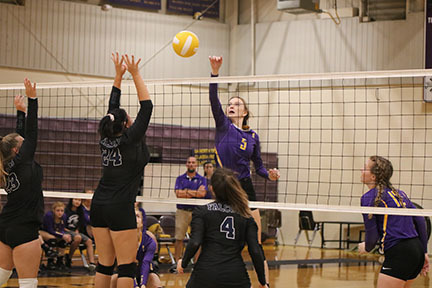 The Lady Bulldogs defeated the Maumelle Charter Falcons 3 sets to 0. The JV squad also shutout the Falcons 2-0. It was the varsity's 10th Conference win without a loss. This game was the last home game of the regular season, but the District Tournament starts here early next week.